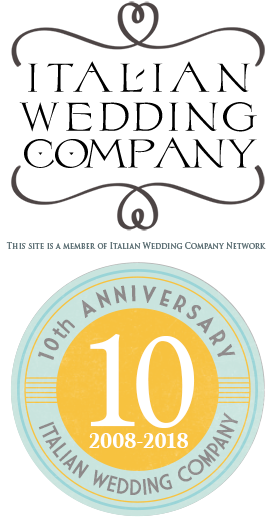 rganising your wedding is so fun and exciting! 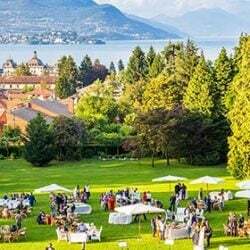 Included in all the planning is big decisions like who to invite and table plans and other similar stuff. 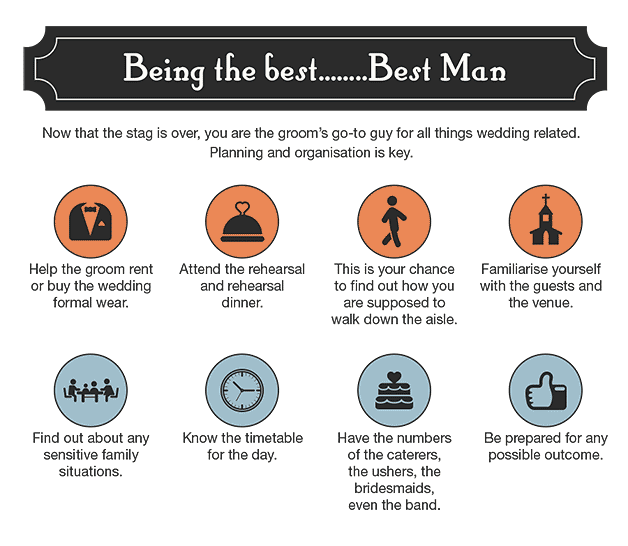 One of the big decisions that you make though after becoming engaged is who will be your best man! 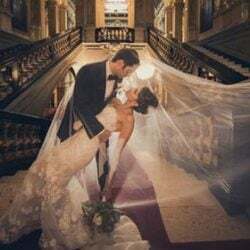 A best man has little boundaries in that they can be any age and can even be related to you. Many people choose family members that they are closest too and also include at least one close friend in the groomsmen. 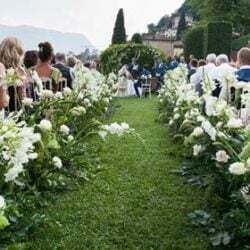 Choose them wisely though as they will be tasked with important jobs like organising your stag or bachelor party and of course, they will mind the rings on the big day! 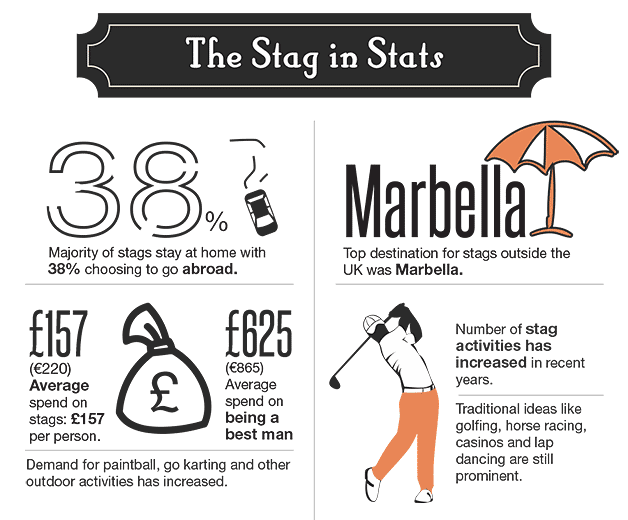 The stag party as it is known in parts of the world is referred to as the bachelor party in the USA and other parts. Though the names may differ, essentially they are the same thing. 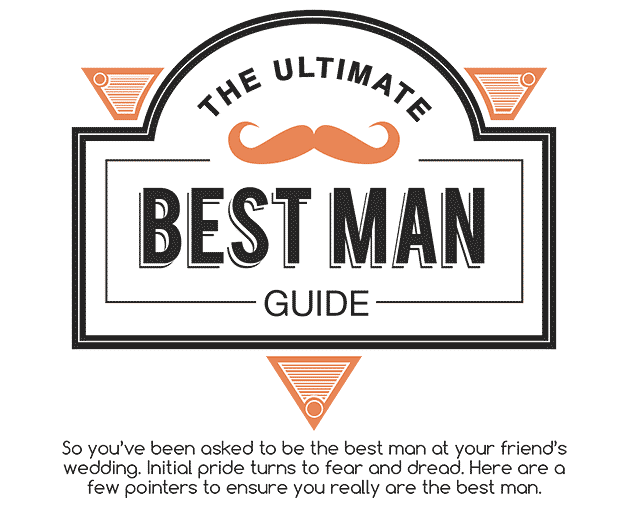 It involves the best man and the other groomsmen organising a really fun night or nights away for their buddy who is getting hitched! Sometimes there are fun activities involved like surfing or quad biking or fishing etc or sometimes the time away gets spent in the pub, downing lots and lots of beer! At the basis of it though are fun times and a celebration of friendship and the closing of the door to a single life. 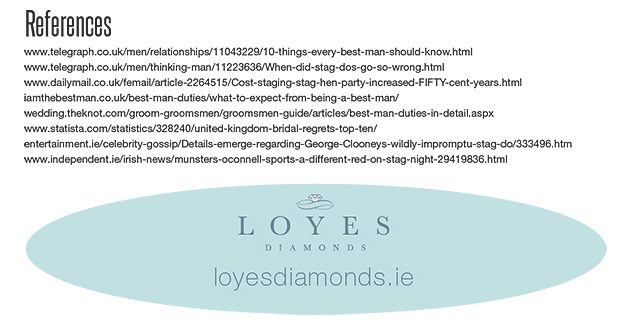 This infographic from Loyes Diamonds in Ireland gives some interesting background to the whole area of being a best man. 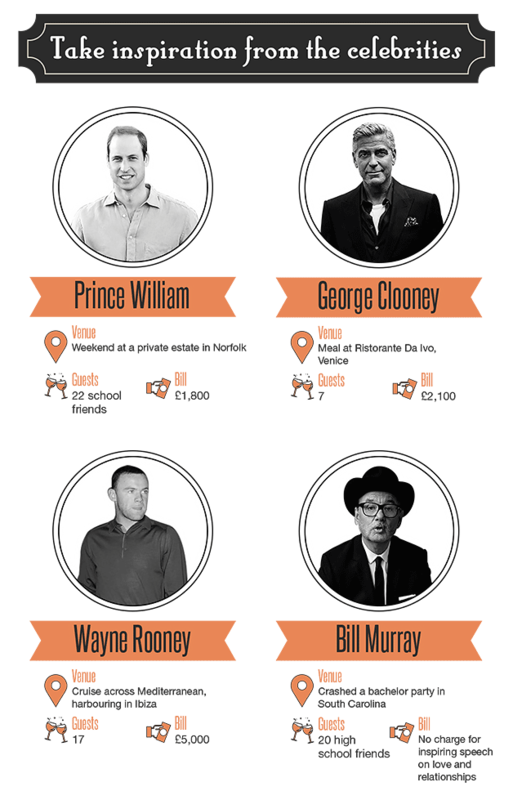 It presents some statistics and also some interesting information about celebrity bachelor nights which might give you some inspiration! 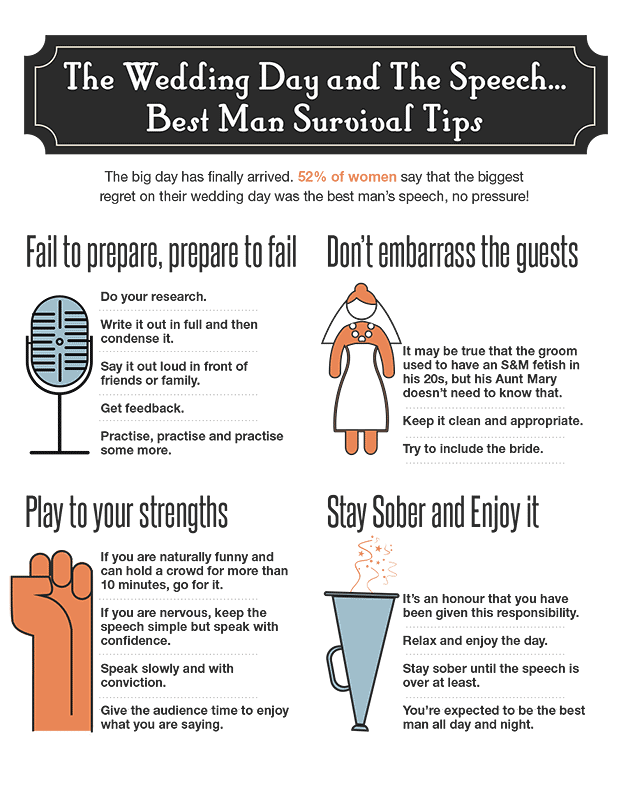 It also gives some helpful hints on developing a great best man’s speech.